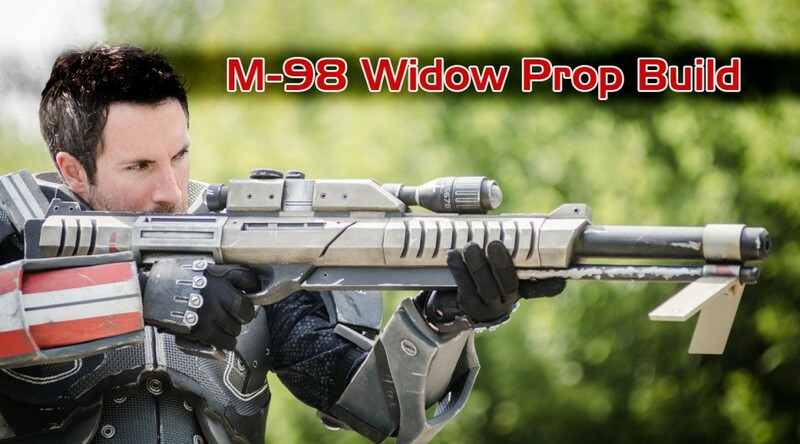 Bill Doran of Punished Props has a new video up showing the build of a sniper rifle from the Mass Effect video game. He has a great process down, showing how to layer up materials to get all the different shapes, and approaching each layer with various tools to get the most precise result possible with the least amount of effort. Enjoy! Bill Doran has a new video up showing how to pattern and construct a helmet out of craft foam. He also has a new book out on building armor out of foam, and if you buy it before this Saturday, you are entered into a contest to win the helmet in this very same video I just shared. 102 Wicked Things To Do is a cool blog with all sorts of tutorials on prop and costume craft-related projects. It took a bit of a break for a year or so, but it’s back now with some cool new projects on wire jewelry–making and papier mache wolf heads. F Yeah Theatre Sets and Props is an interesting Tumblr site filled mostly with photographs of sets and scenography from productions around the world. But they are very pretty and inspirational photographs. Finally, here is a page with pictures and descriptions of every full Godzilla suit used in its 60 year history. Because Godzilla. 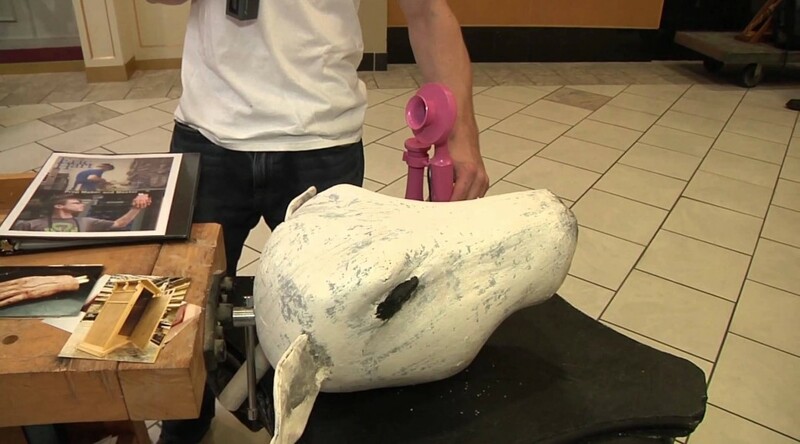 David Neat starts us off with making smooth shapes from Styrofoam. He’s dealing with the real-deal Styrofoam here, not that white bead foam stuff. And sure, this article is over a year old, but it has some really useful techniques. Bill Doran has a helpful video on adding rust to your props. Ninety percent of the time when I show a completed prop to a designer, they say, “that’s great… once we age it down a bit.” Knowing how to weather, age, distress or generally tone down props is an essential skill for a props person, and adding rust is one of the ways to do this. Make Magazine takes a look at some Maker-Friendly hardware stores from around the US. It’s a fascinating look at the vast array of materials a store might choose to stock, as well as a sobering reminder of how awesome hardware stores used to be to those of us whose only local options are Lowes and Home Depot. I covered some basic stitching for fabric in my Prop Building Guidebook, but if you get into embroidery and ornamental stitching, there is a whole other world of ways to manipulate needle and thread. Tipnut has some great vintage illustrations of ornamental borders and the basic stitches to make them happen. It’s a relaxing project for when you are bored in tech and the designer wants the napkins to be “fancier”. Finally, here is an article called “The Most Important Lessons in Woodworking“. Robert Lang uses his experience cutting plugs as a lesson in woodworking in general, and I think this lesson can be expanded out to prop making in general. It’s not just about how to use specific tools or techniques, but how to approach your whole project in the most efficient and easiest manner possible. Chrix Designs shows how she made a staff of Kraken; it’s a staff with an orb surrounded by octopus tentacles. I found her technique for making the sculpted tentacles pretty interesting. Kris Compas shows how to turn on a drill press in this two-part tutorial (see part 1 and part 2). Now, a drill press motor isn’t made to withstand the lateral pressure from full-scale turning of hardwoods , but Compas is turning doll-house furniture pieces out of basswood. This seems like a fine technique for all that small-scale kind of stuff you might need to do. For Nic Howard, nothing is safe when it comes to molding and casting. She shows how she molds everything from bookplates to cookies in order to have a library of decorative castings to attach to objects. Cosplay Boom interviews Bill Doran of Punished Props in this video. Doran talks about how he got started and what he loves about making props. 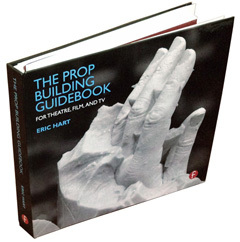 Huffington Post has an interview with props master Peter Bankins. Bankins has been a prop master in film for the past 25 years, working on movies such as Young Guns, Grumpier Old Men, Erin Brockovitch and many more. On the other side of the pond, Farfetch has a short photo essay called “Our Day With Thomas Petherick“. Petherick is a young prop maker and set designer working mainly on fashion photography shoots. 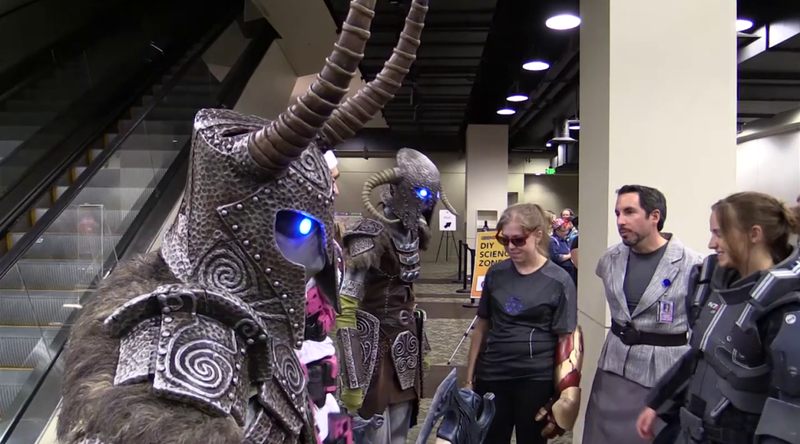 Bill Doran and his wife created a fairly detailed set of armor and weapons from the video game Skyrim for this year’s Dragon Con. He details the lengthy build process as they fashion parts out of wood, EVA foam, Worbla, resin and more. Finally, here is a familiar face; I was displaying some of my props at last month’s Burlington Mini Maker Faire. Coffey Productions was going around filming the various exhibits, and shot this video of me talking about my props and my book. Check it out!